Back in the winter of 2013 I traveled up to Michigan to see the family, meaning my daughter Kelsey and her husband Matthew Wisotsky and my son Nicholas Harvey and his wife Gerianne Ditto-Harvey. 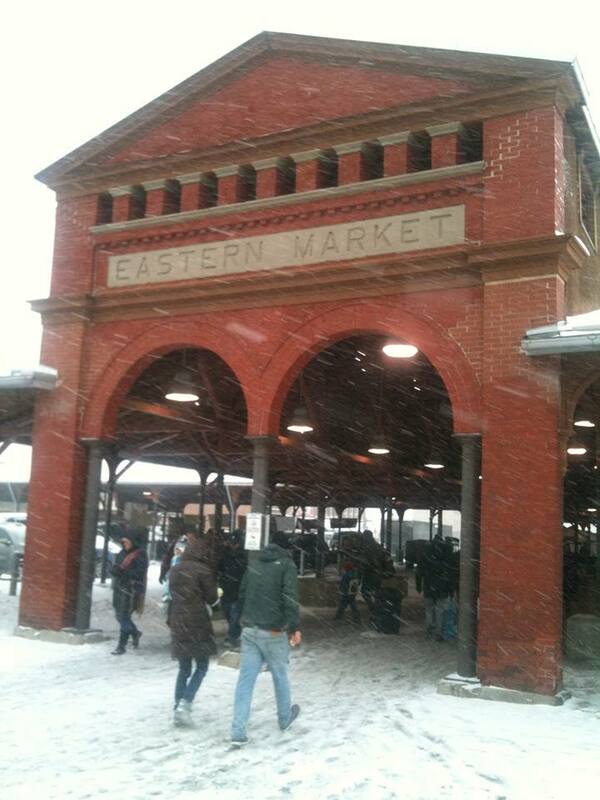 Whenever I’m up in the Great North with the kids, I like to cook; therefore, it was time to visit Eastern Market. Kelsey, Matt and Nick guided me around. 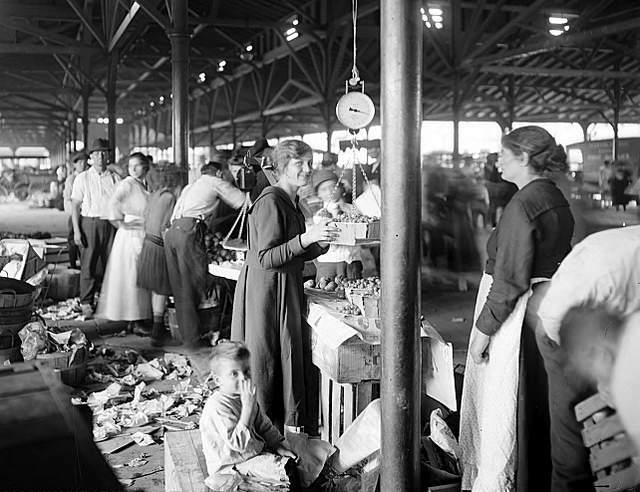 Originally called the Detroit Farmer’s Market and located at Cadillac Square in downtown Detroit in 1841, it moved fifty years later to its current location bordered by Gratiot, Mack, St. Aubin and I-75. With 4.5 acres of public market space open throughout the year, Eastern Market features over 150 vendors and 140 surrounding businesses. 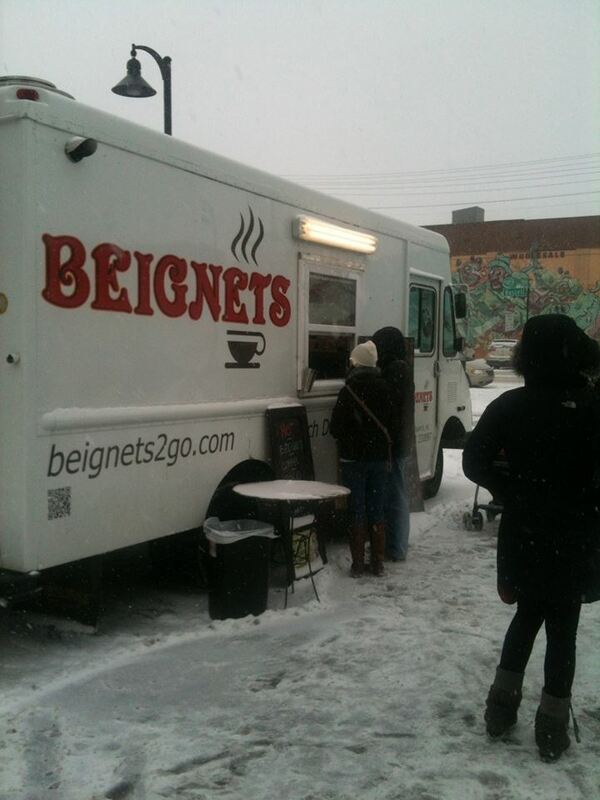 On the morning we went, a cold wind lashed the streets, but we found temporary warmth from a well-placed food truck. Of course, we had to stop and warm up with café au lait and beingets. We took our coffees inside the Gratiot Central Market and immediately I fell in love. Built in 1915, the market features steaks, roasts, ground beef, kabobs, oxtails, corned beef; pork ribs, ham, chops, bacon, salt pork, ham hocks, ears, and everything else pig; chicken (whole and parts), turkey, duck, Cornish hens, and eggs; goat, homemade sausages, lunchmeats, cheeses, lamb, rabbit, chitterlings and tripe; more than 16 varieties of fresh fish and shellfish from crab to clams, crawfish, lobster, scallops and shrimp. 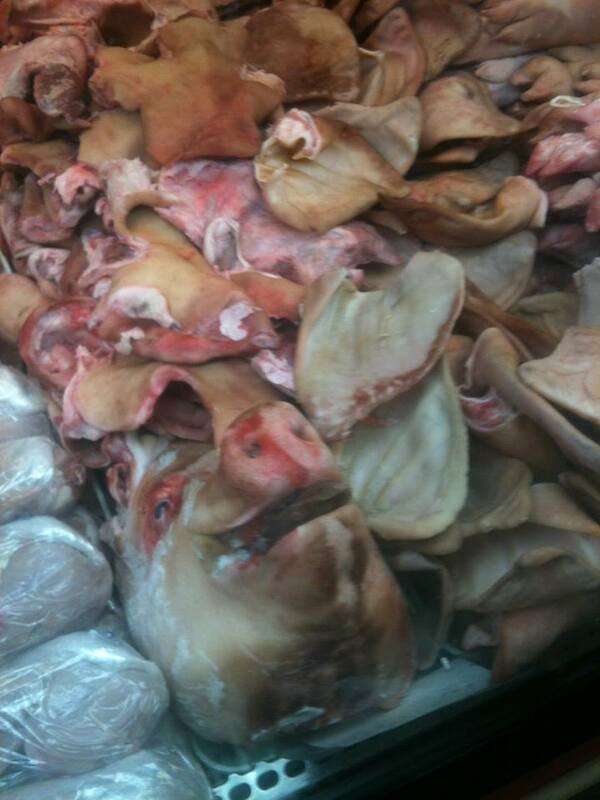 I planned a deep, green pork stew for the family so I got my shopping on. 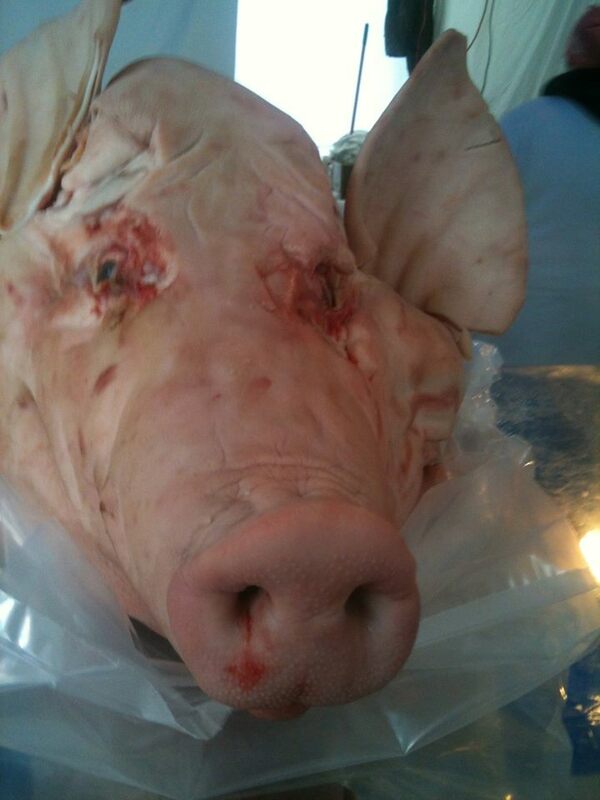 Reminds me of my first pig head from Feast. More about that great dining experience later. 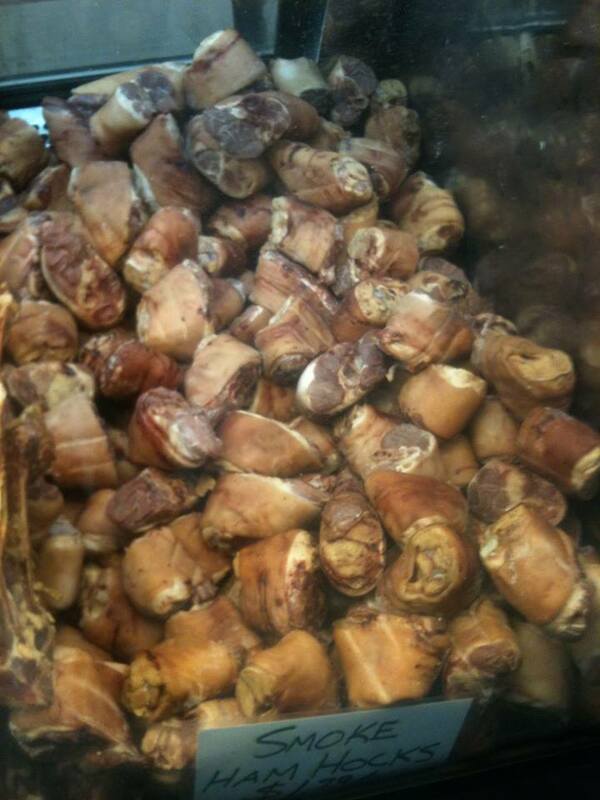 So many smoked ham hocks! 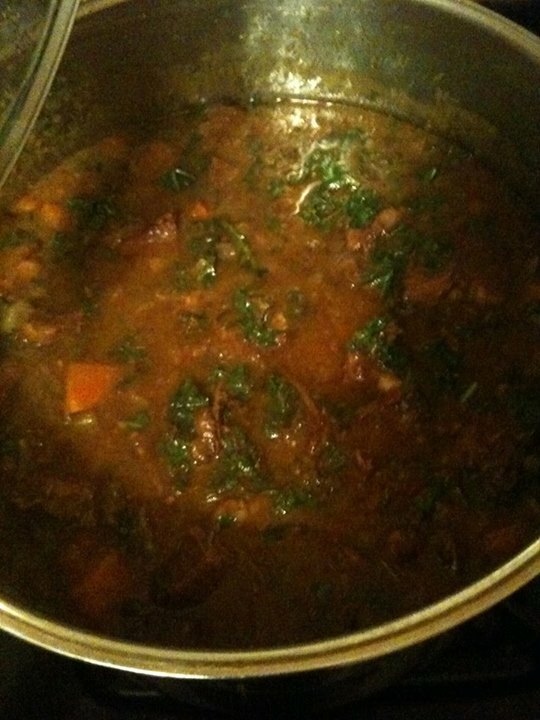 I returned to Matt and Kelsey’s to launch the three-day cruise cooking Sweet Potato Goat Stew with Smokey Risotto. First step, roast some beef marrow bones and pig ears. Then, place that roasted goodness in a pot of water to make a delicious, protein-rich stock! 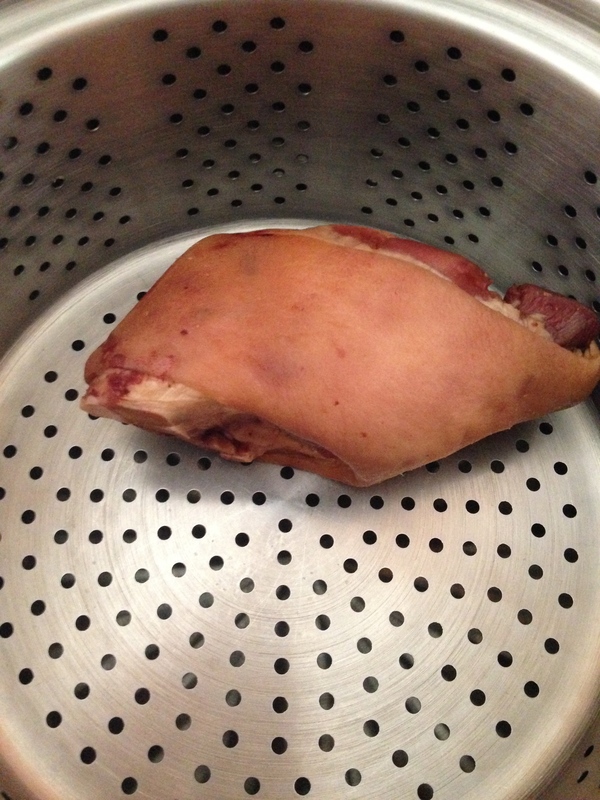 Oh wait, did I forget the smoked ham hocks? No problem, throw them in another pot and simmer. That’s all on the first day. 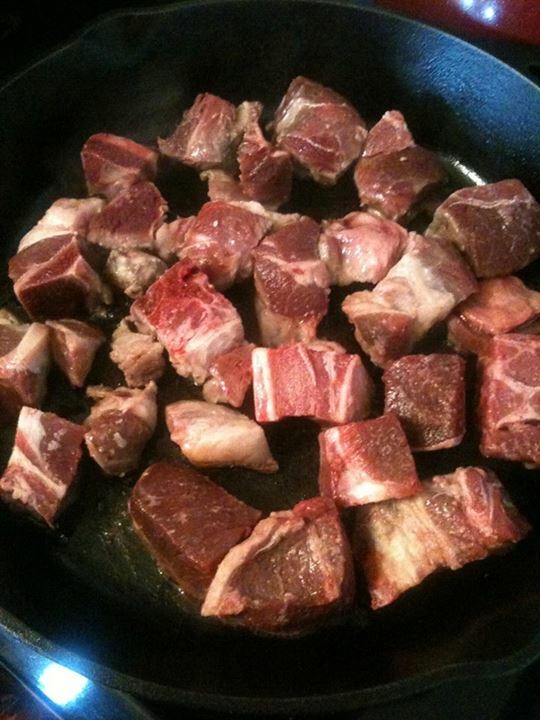 Second, day, time to sear goat meat! With the goat browned, I simmer the bones, ears and hocks through another day, so on the morning of the third day I remove body parts and combine the stocks. 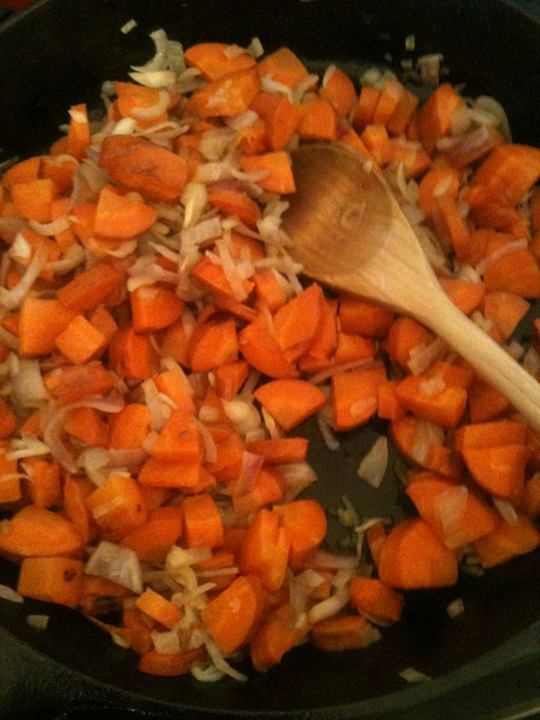 Next step, I’ve boiled, roasted and then mashed sweet potatoes from Eastern Market. Into the stock they will go. I’ve also roasted carrots that I now sauté with shallots. Eventually, I add the goat meat to the carrots and shallots, then throw all into the sweet potato beef, pig stock along with a healthy pour of a Smith and Hook Cabernet. Continue to simmer, near the end I’ll plop in some fresh kale. As for the risotto, I cook arborio rice in left-over stock and let there be smoke on smoke. Time passes, Months rumble on, (think of the middle section of Virginia Woolf’s To the Lighthouse) and it’s the end of June 2014 and I’m back in Eastern Market again. This time, I’m shopping for a fish stew. 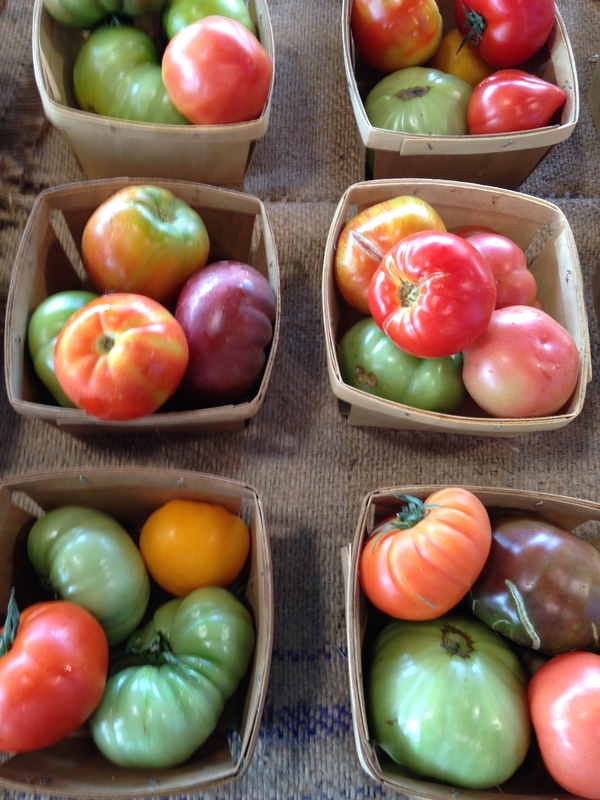 Oh my lord, look at those heirloom tomatoes, and what? Only two dollars a basket! I’ll take two baskets!! 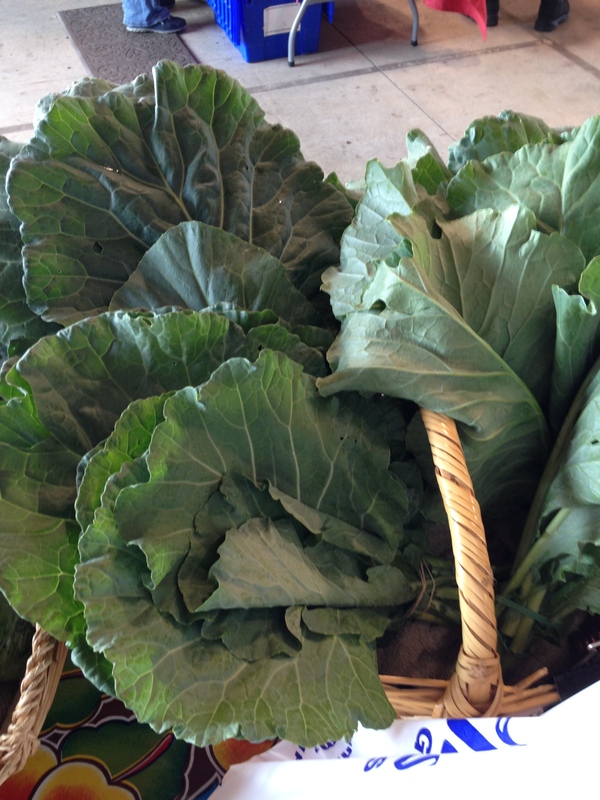 Keeping greens in view, I gather up bunches of collard, mustard and turnip greens. As little as a $1.50 per bunch. 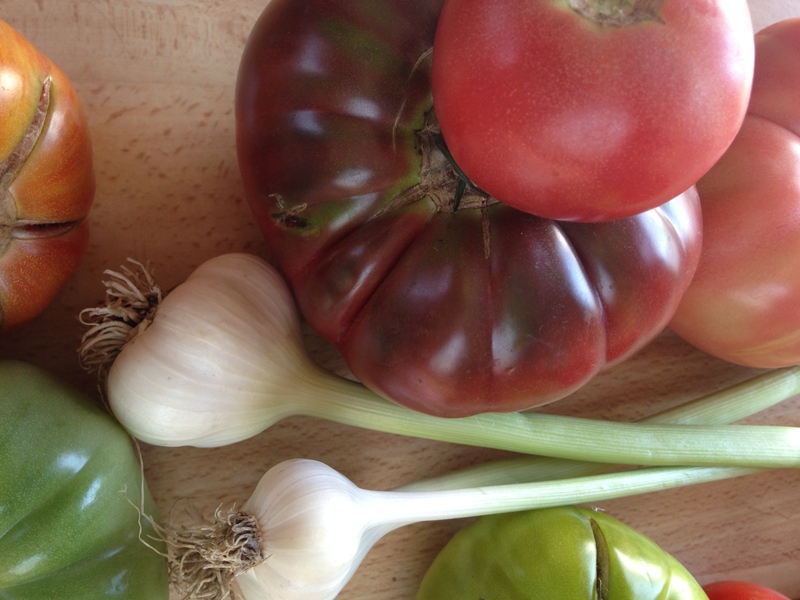 Spring green garlic and luscious heirlooms. 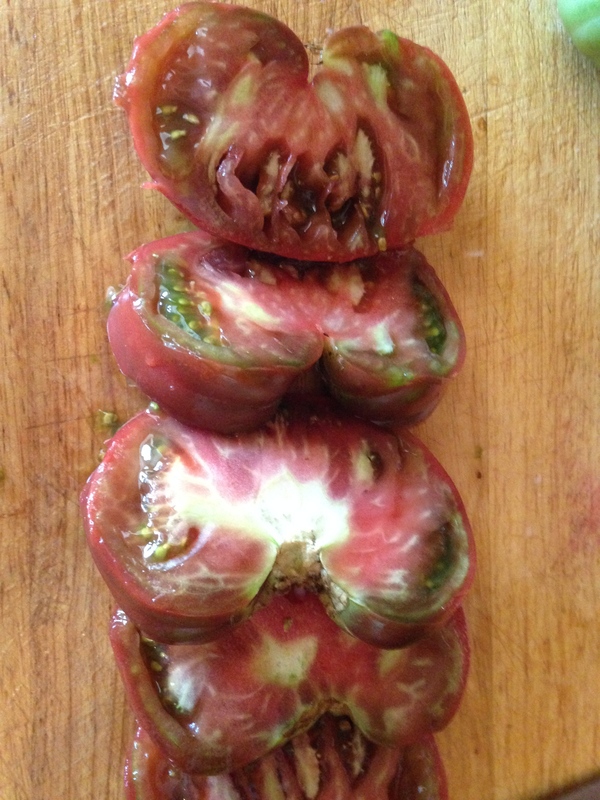 Ah, the sensual beauty of a tomato. 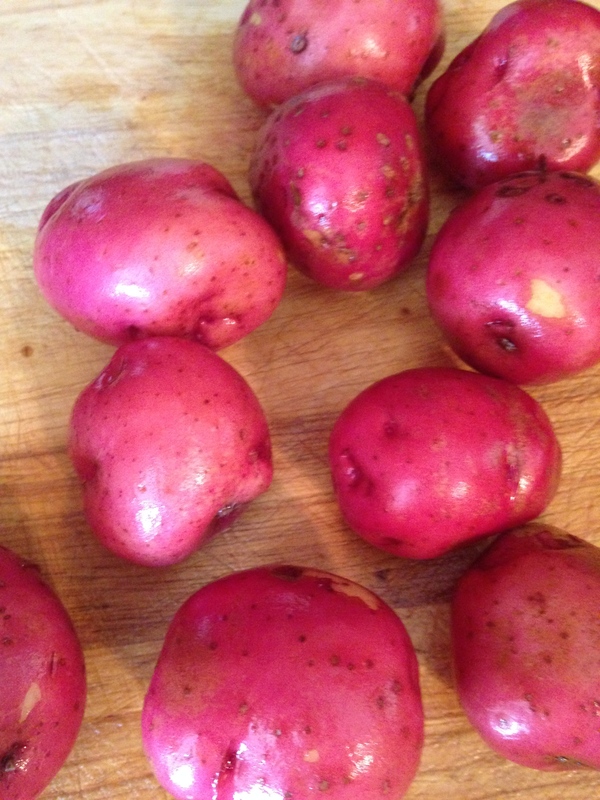 Throw in some red potatoes and I’m ready to cook! Ah, lovely smoked ham hock, work your magic for me. Macomb, Oakland and Wayne counties offer prime fishing waters for Channel Catfish. 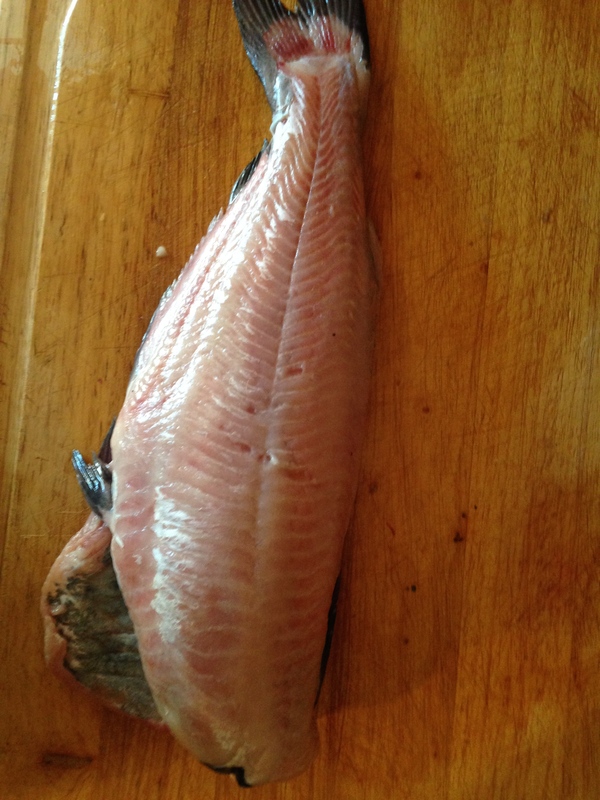 Of course, this catfish species is found from lower Canada down to South Carolina. Like us, they are omnivores and can weigh as much as 58 pounds (we can weigh a bit more), this one comes in between two and three pounds. 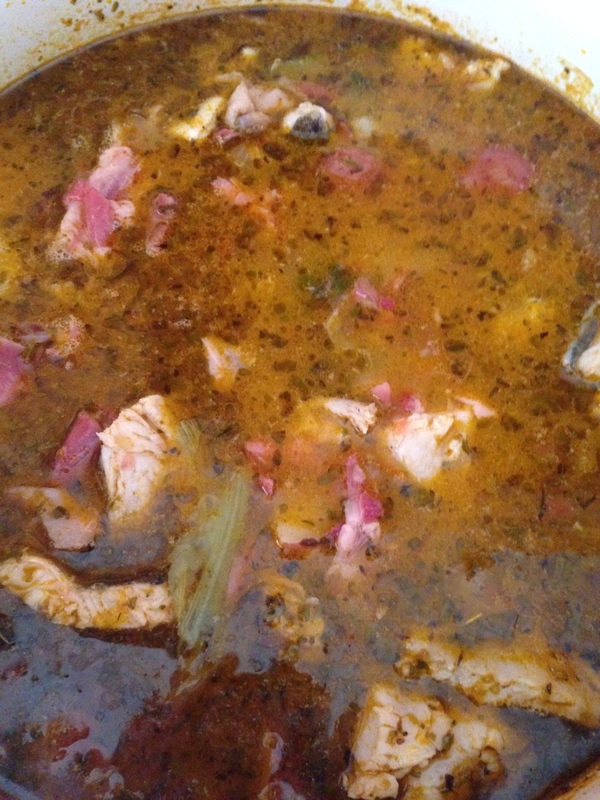 I find that catfish works wonders with its fat content when I smoke it or use it to make a stock. With this stew, I’m using the whole fish. I first cut it into “steaks” slowly roast them, then place them in my stock and let the meat fall off the bones. 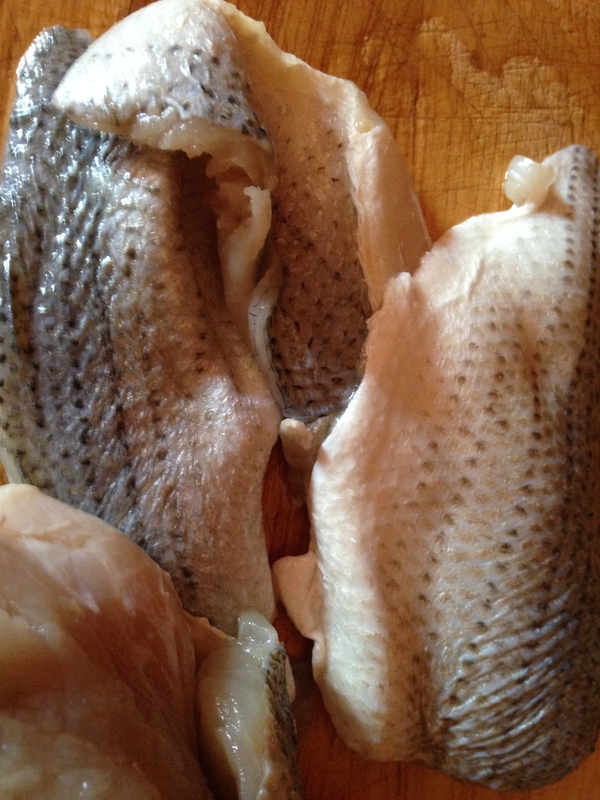 White bass can be found throughout the Midwest. I find they deliver an immediate clean, fresh-water taste; in other words, they taste like a fish from a lake. Excellent! So, what’s in the stew? 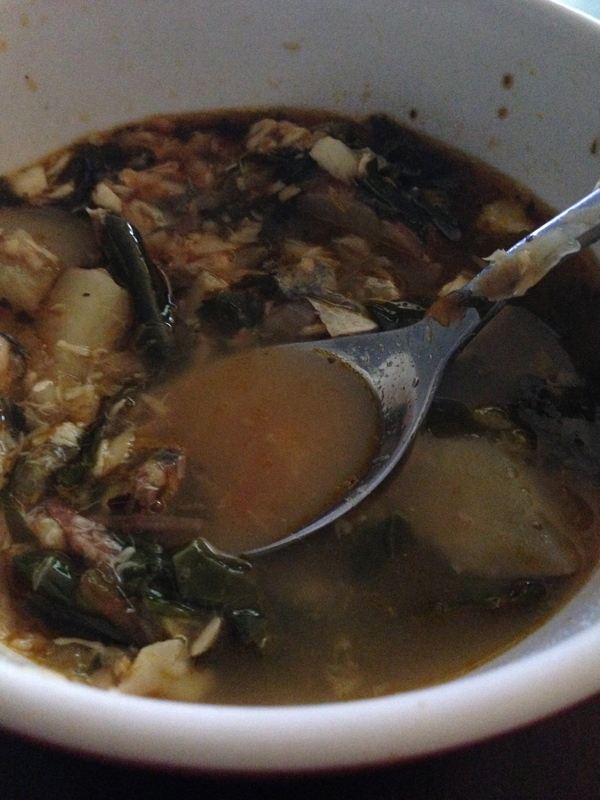 I slowly boiled the smoked ham hock and collard, mustard and turnip stems–creating a caldo verde stock. I sautéed onions, garlic, tomatoes with salt, pepper, sage, savory, thyme and oregano in olive oil, adding parboiled red potatoes; then the catfish and white bass. Simmer. Simmer. 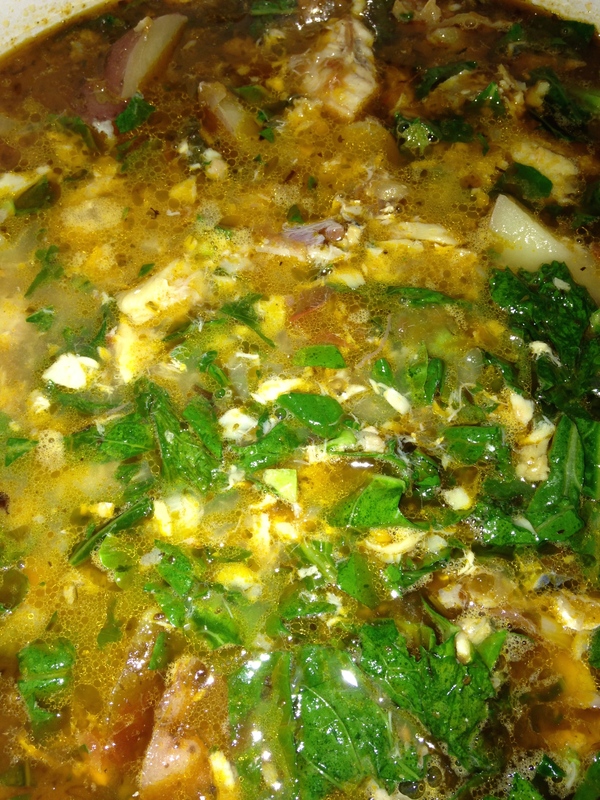 Then, near the end, I add collard, mustard and turnip leaves. Simmer. Simmer. 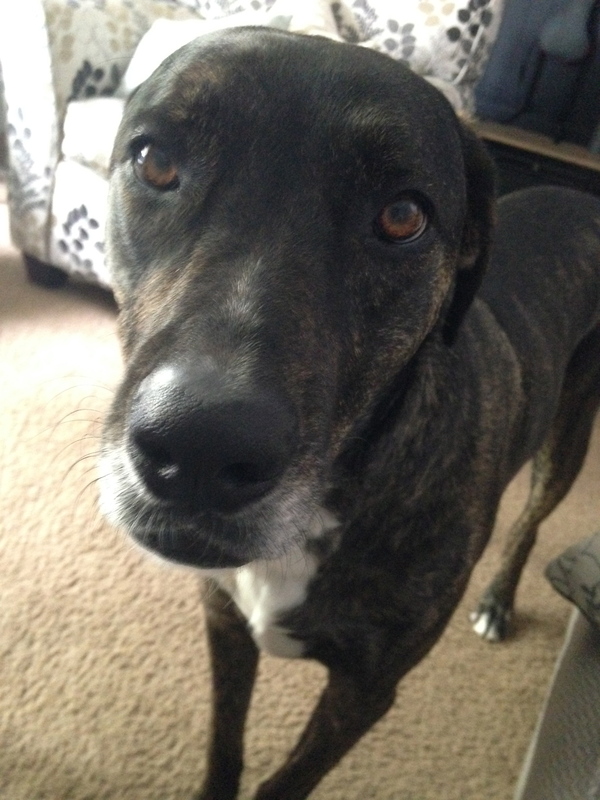 Oh yes, here’s Rocky, the lovable hound of Kelsey and Matt. Previous Previous post: Forest, Farm and What Will Be Left.